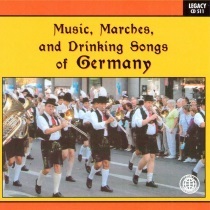 “Music, Marches, and Drinking Songs of Germany” is the CD title. This CD is music appropriate for those who like lots of festive music and marches. Check out this CD today!